Welcome to my website! I'm Piro, and I'm glad to your visit. 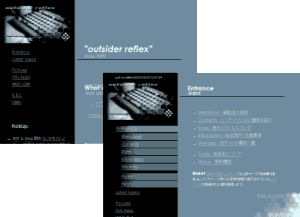 Most documents in this site are written in only Japanese. I'm sorry I couldn't show my all documents in English, so, please amuse yourself by seeing pictures which I pictured and/or by others. And, I distribute the "ContextMenu-Extensions", a XUL application for Mozilla and Netscape 6. This program contains English help, so, if you are interested in Moz/NS6, please test it. All rights reserved. Don't use any content in other sites without my permission.